TURIN – Fiat says the fourth variant of its 500 car will be called the 500L, with L standing for large. The 500L, a five-door, high-roof subcompact hatchback, previously known simply by its L-Zero codename, will debut in March at the Geneva auto show. The car's front end is similar to the 500 but the 500L variant sits on a widened version of Fiat's small vehicle architecture used by the Punto subcompact. The 500L is around 4150mm long, about 60mm longer that the 500 hatchback. Fiat will eventually offer two versions of the 500L: the five-seat standard model which will debut first, followed two months later by a seven-seat variant, which will be around 10mm longer than the five-seat model. Sales of the 500L in Europe will begin in July. The automaker plans to offer the seven-seat variant in Europe only, while the five-seat model will also be exported to the United States beginning early next year. 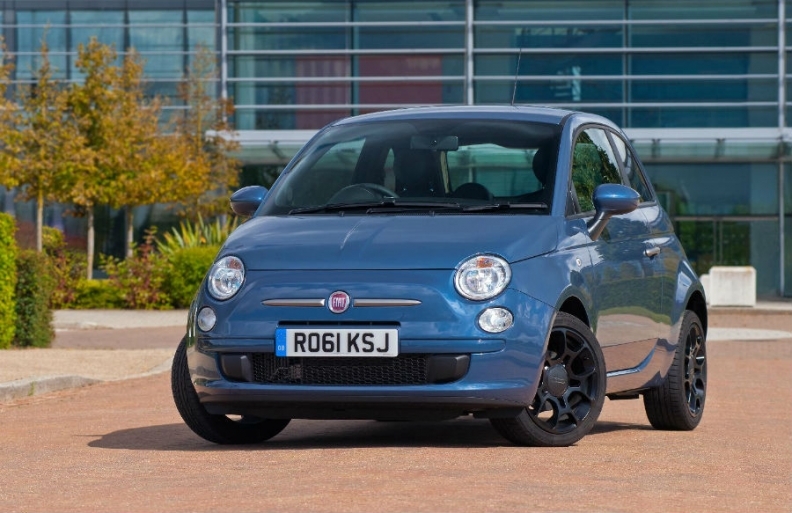 Fiat believes American customers won't buy a seven-seat vehicle as small as the 500L. The 500L will fill a gap in Fiat's European product lineup when the Idea goes out of production at the end of the year. Its engines are likely to include Fiat's TwinAir turbocharged two-cylinder 900cc gasoline unit with 85hp, a 1.4-liter gasoline engine with 77hp or 105hp, as well as a 1-3-liter diesel with 75hp or 95hp. In Europe, the model will rival cars such as the Citroen C3 Picasso, Ford B-Max and Mini Countryman. Fiat will build the 500L in a plant in Kragujevac, Serbia. Fiat Automobili Srbija, which owns the plant, is 67 percent owned by Fiat and 33 percent by the Serbian government. Together with the Serbian government, Fiat is investing 700 million euros in the plant, which once belonged to Zastava Automobili, which built Yugo cars. Production in Kragujevac is set to begin in early summer, with a target of around 40,000 units for this year. Output is expected to reach over 100,000 units in a full year. Fiat relaunched the retro-styled 500 in 2007 with the 500 hatchback. A year later, the automaker added the Abarth, a performance version, followed by the 500C convertible in July 2009. The 500L's front end is similar to the 500, shown. Fiat sold almost 4 million of the original 500 model between 1957 and 1975, when the model was as iconic as the Italian movie stars Sophia Loren and Gina Lollobrigida. Fiat has sold more than 770,000 of the modern 500 since 2007. In 2011, Fiat sold over 195,000 units of the 500 globally, including 156,000 in Europe, 26,000 in North America and the rest in Latin America and China. In Europe, the 500 range is built by Fiat in its Tychy plant in Poland. Chrysler Group builds the 500 in Toluca, Mexico, for the North American, Latin American and China markets. This is the second incarnation for the Fiat 500L. Between 1968 and 1972, Fiat offered a 500L model with superior equipment levels. At the time, L stood for Lusso (luxury in Italian).